Devin Dignam of NBeh? (a Toronto Raptors blog) has the 6th, 7th, 18th and 19th picks. Each contestant kindly added a few words explaining their pick. In case you missed it you can find the first two rounds here: Round 1 and Round 2. With that let’s get on to the next round! 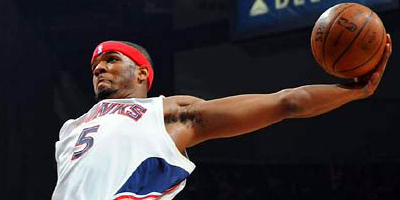 Josh Smith is a defensive pick. Since I selected Kevin Love as my big man, I’m slotting Josh Smith as a swing man in the expectation that his backside help defense and shot-blocking ability will come up huge in a half-court game, where there is less space to cover. He is in the .250-.300 WP48 range, which is about as good as you can get on a non-C at this point. With Allen as a dominate outside scorer and James as a dominate all-around scorer, I need a clean-up guy who can do work inside. Accordingly, I’m going with Zach Randolph. 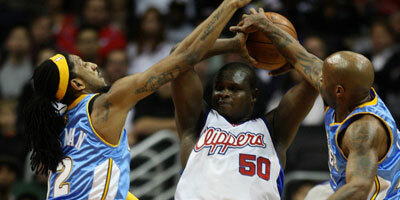 Randolph is a beast inside, and leads the entire NBA in offensive rebound percentage. In the rare event that Allen misses a 3 or James misses a layup, there is no one better to clean up the mess and give the team more opportunities than Randolph. In addition, Randolph is a very physical player. This physicality will benefit him in a league where players call their own fouls. Ok, you’ve all been waiting for a surprise pick and here it is….I take Mike Dunleavey. I think bigs are overrated in this format unless they can shoot 3s (err 2s). I chose he gives me rebounding and size — I have no center but all three guys are 6’9+ so good luck denying me 3s if you gave a traditional point guard on your roster. My strategy vs dominant bigs is just to foul. Remember you’ve got to shoot 80% from 2ptfgs to match my 3s (I don’t plan to shoot 2s unless they are dunks or open layups) unless you have similar outside prowess. And nobody in the NBA is going to shoot 80% near the basket when they’re calling their own fouls, especially if we aren’t going to shoot FTs or foul out players. Oh Patrick, Patrick, Patrick. Dunleavy really? For me, I need shooting and a swing defender that can cover Lebron. Do I go for the 3 pointers or do I take the best player available? It’s not like we have some handy tables available to determine that. Oh wait we do! Funny, I can do both. 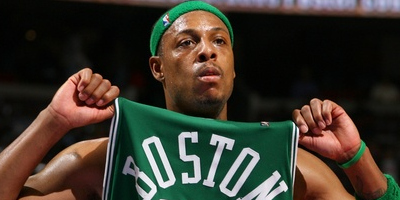 My pick is reigning three point champ and the ninth best player according to my rankings: Paul Pierce. I got my wish. I’m taking a risk on a sleeper with my last pick, and it’s either gutsy or stupid. Let me know in the comments. My rationale: I’m not looking for the best available player by WP. WP isn’t as applicable in a 3-on-3 setting, especially when 3’s are 2’s and 2’s are 1’s. Instead, I’m looking for someone who is a highly skilled “two-point” shooter (and not bad everywhere else). 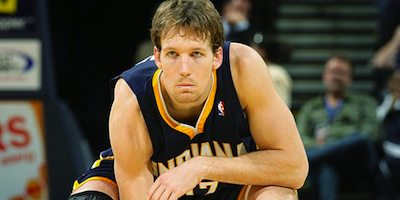 My primary offense is the Paul/Griffin pick-and-roll. If I round this out with a lights out shooter, the defense has to pick its poison every time down the floor: either help to protect the rim or defend the two-point line. In other words, I’m seeking to eliminate help defense or make the defense pay dearly for helping. My first and second choices here were Allen and Dunleavy. Both excellent shooters, both highly rated by WP. 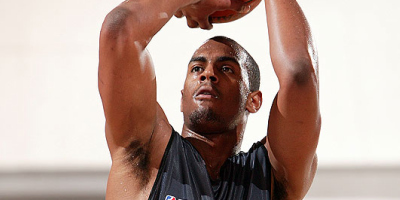 With them off the board, I’m selecting Arron Afflalo. He’s one of the best three-point shooters available, he’s a well-rounded player overall, and he’s a solid perimeter defender. Wow! After a couple of rather…interesting…choices, I get to choose two players…and I have three wonderful players to choose from! I was hoping to get Paul Pierce here, but Arturo was on to me. So, to review: I have a Big (Gasol) and a Small (Nash). With my next two picks, I am going to pick some players who can play big and small. I also am wary of letting Arturo getting another one of the players he likes (hint hint). 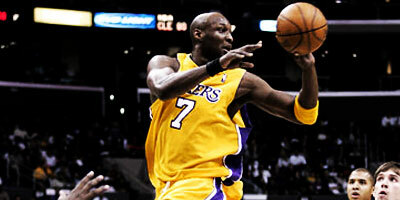 My first pick is Lamar Odom. Odom can handle the ball, play inside or outside (check out his 3pt% from last season), can pass, and can rebound. He can match-up with centres, power forwards, and small forwards. His main weakness – free throw shooting – does not apply in 3-on-3. I had thought about wrapping this up today but with so much great commentary and debate we have another day to go! Hope you’re enjoying it. 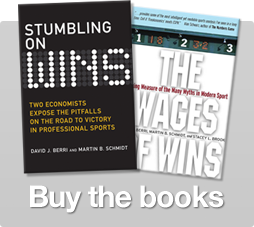 2 Responses to "Wages of Wins 3 on 3 Fantasy Draft Round 3!" Great idea guys, I’m really enjoying it. It would be a bit easier to follow if the writers listed their team then who they were adding (some mention it in their reasoning). It would save me flicking between posts to see how the team is coming together.